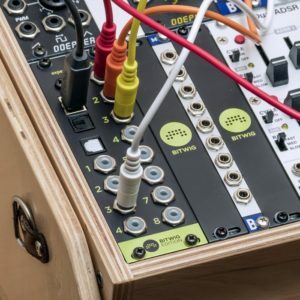 Bitwig collaborates with Expert Sleepers, makers of the class-compliant audio interface module for the Eurorack format! 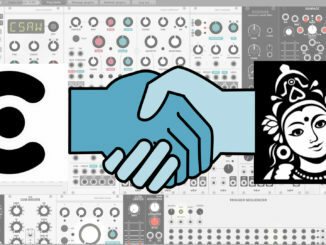 Bitwig has announced an interesting new collaboration that makes sense. To offer a straightforward to way integrate modular gear in the Bitwork workflow, the company released now the ES-8 class-compliant audio interface by Expert Sleepers in a Bitwig version. It features DC-coupled inputs and outputs, which can be used for both CV/Gate/Clock and audio signals. As we’ve been enhancing Bitwig Studio’s integration with analog modular systems, we’ve been working with a lot of audio interfaces. 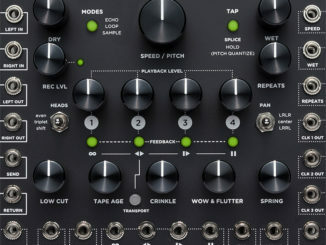 But the work by Expert Sleepers — aka Andrew Ostler (aka Os) — uniquely solves every challenge: a small module, class-compliant, with plenty of I/O (12 analog, another 16 digital for expansion), and visual feedback on the ports. The ES-8 was specifically designed for people who want to integrate software with hardware. We find ourselves using the ES-8 whenever we get a chance to showcase Bitwig Studio so a limited Bitwig-branded version just made sense. Current draw: 198mA on the +12V rail, 52mA on the -12V rail (at 96kHz). Driver suport: class-compliant USB 2.0 (no driver required for macOS and iOS – Windows drivers provided for Windows 7, 8 & 10). Channel count: 12 in, 16 out. Supported sample rates: 44.1kHz, 48kHz, 88.2kHz, 96kHz. Audio sample depth: 24 bit. Output connections: 8x 3.5mm TS jacks, DC-coupled. Maximum output voltage: approximately ±10V DC. Analogue inputs: 4x 3.5mm TS jacks, DC-coupled. Input voltage range: approximately ±10V. Digital I/O: 1x ADAT input, 1x ADAT output. Expansion headers: 1 for ES-5, 1 for ES-6. The ES-8 Bitwig Edition audio interface is available for 445 EUR. Synthesist Reloaded Masterclass with Harald Großkopf. Open Controller Workshop: Customize your MIDI controller. 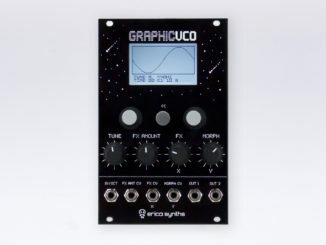 VCV Rack Collaborates With Mutable Instruments & Test Modules Before Buying Them! NAMM 2018: Strymon Magneto Is A New Four Head Tape Echo & Looper For The Eurorack Format!